This year on August 11, Japan has a new national holiday. Mountain Day (山の日) is a day to appreciate mountains. Growing up I spent a lot of time in the Adirondack Mountains since my family has a summer home there. 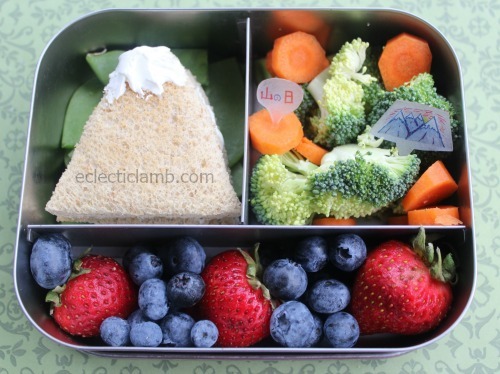 I am all for appreciating mountains so I decided to create two lunches in celebration of this new holiday. I am sharing this on August 10 because tomorrow morning in the U.S., Mountain Day in Japan will be mostly over. I don’t like the way this looks as it looks like a blob of mashed potatoes but it was delicious to eat so I am sharing it. The blobs are supposed to be mountains. 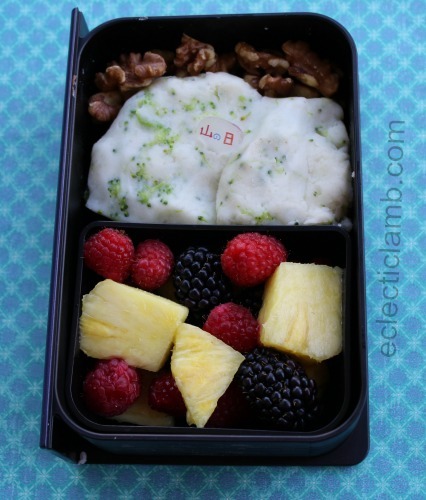 This entry was posted in Bento / Cute Food, Food and tagged book bento box, holiday, LunchBots, mashed potato art, mountain day, sandwich. Bookmark the permalink.